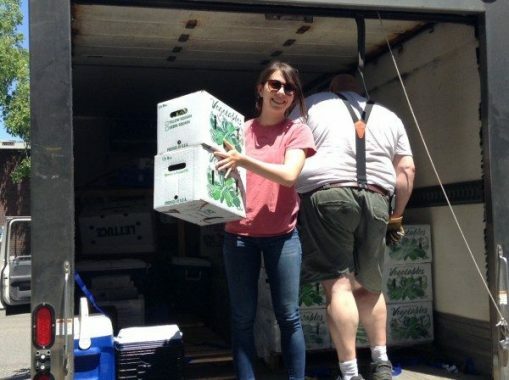 Twenty years ago, a Friedman professor started a non-profit, The New Entry Food Hub. The New Entry Food Hub is more than a regular Community Supported Agriculture (CSA). New Entry aims to build long term economic self-reliance and food security among farmers in eastern Massachusetts and their communities, and to expand access of healthy and culturally appropriate foods in under-served areas through production of locally grown foods. The New Entry Food Hub functions as a living-wage market for small-scale farmers and helps to strengthen local communities and increase access to fresh food by partnering with organizations serving low-income community members. You can sign up for a summer CSA share to pick up on Tufts’ Medford or Boston campuses. Tufts community members will get 5% discount until end of May! Learn about summer and fall CSA membership here!